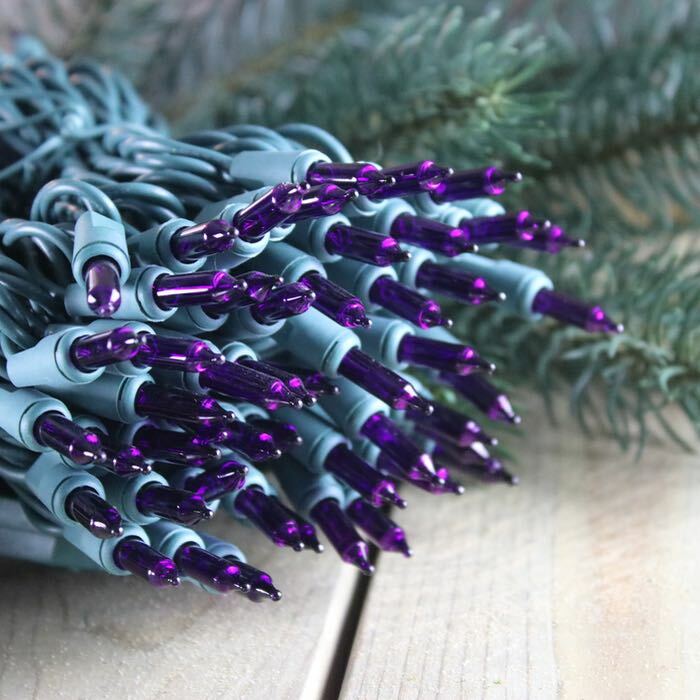 For a gorgeous glow to your holiday decorations, these purple Christmas lights are a great choice. 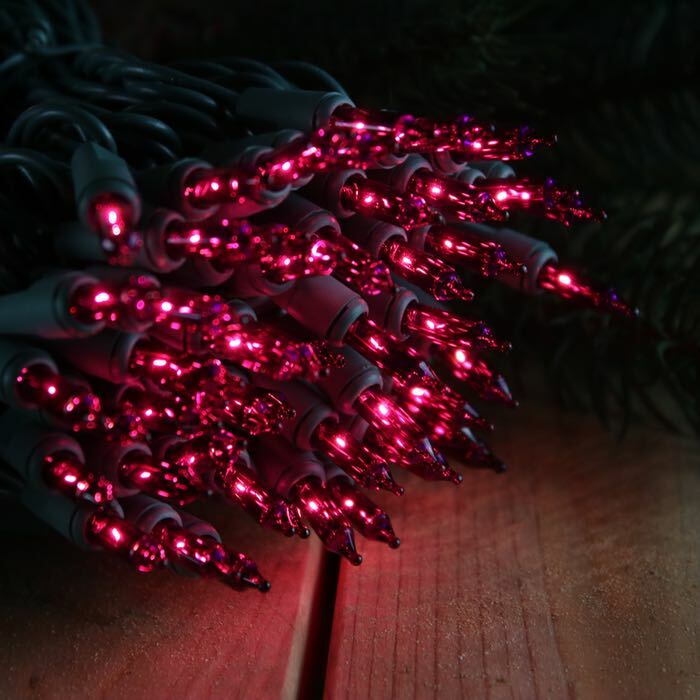 Each string of these mini lights is equipped with 50 bulbs, spaced at 6 inches apart. They are constructed of 22 gauge wire, and have a male and female plug, which work in standard home outlets. These lights work well in projects outdoors such as lighting up large trees. Combine purple and yellow for a striking color combination. Purple and white look beautiful on outdoor shrubs and landscaping. Fences and columns are elevated when you wrap them with these purple Christmas lights. Remember that you can run up to 10 sets in a series before adding a second extension cord. Plug all of our products into surge protectors. If using outdoors, make sure those protectors are qualified for that use.